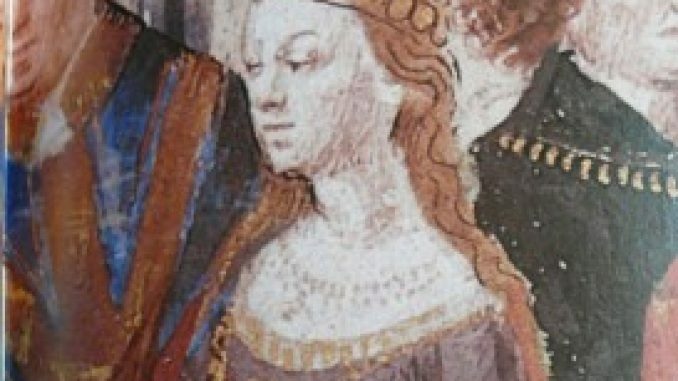 Dying before her twentieth birthday, Isabella of Hainaut is often seen as a passive victim, whose only accomplishment being that she gave birth to a future king of France. But Isabella was so much more than that. If she lived longer, she could have become one of France’s more memorable queens. Isabella of Hainaut was born on the 5th or 23rd of April 1170 in Valenciennes (now in Northern France, near the Belgian border). She was the first child of Baldwin V, Count of Hainaut and Margaret of Flanders. Her mother would later become Countess of Flanders in her own right. When she was just one year old, Isabella was betrothed to Henry, son and heir to Henry I, Count of Champagne. 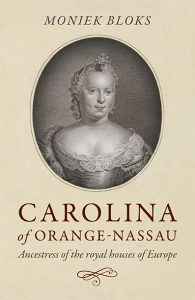 Her brother, Baldwin, was soon betrothed to Henry’s sister, Marie. Henry and Marie’s mother was Marie of France, daughter of the French king Louis VII, by his first marriage to Eleanor of Aquitaine. Their father, Henry I of Champagne, was a brother to Adele, the third wife of Louis VII. It was Adele who would give Louis his long-awaited heir, Philip. Isabella’s uncle, Philip, Count of Flanders, was childless and offered Baldwin the opportunity to become Count of Flanders by right of his wife Margaret if he were to die with no heirs. In exchange, Philip of Flanders planned for Isabella to be dowered with the County of Artois and be married to Philip of France. In March 1179, both Isabella and Henry’s fathers swore an oath that their children would be married. Henry I of Champagne probably met with Baldwin about this promise because he had heard about the Count of Flanders’ plans. Baldwin’s promise did not last for long. He soon decided to marry Isabella to the new King of France. The first four years of Isabella’s marriage could not have been easy. Philip’s mother, Adele, was not happy about this marriage, because it meant the rejection of her nephew, and Philip replacing her brothers with Isabella’s father and uncle as advisers. War even started to happen between Adele and Isabella’s families. The most difficult challenge to the marriage came in 1184. Philip announced that he planned on divorcing Isabella because she could not produce an heir. Isabella was only fourteen at the time, and it is unclear if the marriage had already been consummated or not. Another reason for Philip’s decisions could be that his relationship with Isabella’s father and uncle was deteriorating. He probably wanted to end his alliance with the Count of Flanders. Also, others saw Isabella as too low-ranking to be queen, since her father was a count. This was not unusual though, as Adele of Champagne was also a count’s daughter, and so were Philip’s grandmother, Adelaide of Maurienne, and great-grandmother, Bertha of Holland. Isabella was not going let a divorce happen. In the hope that Philip would keep her, she made an impressive move that would make her into a popular queen. Barefoot and dressed only in her shift, she took to the streets of Senlis, where the court was staying. Isabella walked from church to church, weeping and praying at the altars. She carried a candle and distributed alms to the poor and lepers. She had gained the sympathy of the people, and they ran to the royal palace and rioted. Philip could hear them from inside. Some of Philip’s advisers told him that he should keep Isabella because repudiating her would cause Artois to be lost from the French crown. A later chronicle tells of a conversation between Philip and Isabella, taking place when he was about to send her back to her family. Here, Philip offered that Isabella could marry again, to a French lord of her choice. Tearfully, she told him that it would not please God for her to marry another man. Philip then decided that he would keep Isabella. Isabella’s public action shows that, as young as she was, she was no weak-willed girl. Instead, she was courageous to do such a thing and determined not to lose her status as queen. This action made her very popular with the people of France. Very few queens had performed a public action like this. Isabella was not very fortunate when it came to childbirth. In late 1185 or sometime in 1186, she gave birth to a daughter who was either stillborn or died soon after birth. Soon afterwards she suffered a miscarriage. In 1187, she was pregnant again. This time she had better luck. On 3 September 1187, she gave birth to the longed-for son, who was named Louis. All of Paris rejoiced at his birth. A solar eclipse happened the day after, and it was seen as a good omen. Isabella was now secure in her position as queen. She seems to have now been valued by her husband, and the French people loved her. Tragically, Isabella’s life was cut short. She died giving birth to twin sons on 15 March 1190. The twins outlived Isabella by only a few hours. She was not yet twenty. Isabella was buried with her twin sons and stillborn daughter in the Cathedral of Notre Dame, Paris. In 1858, the choir of Notre Dame was excavated, and Isabella’s tomb was identified by her seal matrix. Measurements of her remains suggested that she stood 5’8″ to 5’9″ (1.72-1.75m) tall, an exceptional height. In an age where people were typically shorter, she would have been taller than many men. Isabella had been a popular queen, and she was mourned greatly by the people. Philip never forgot her and gave donations to Notre Dame in her memory. He eventually remarried twice, the third time bigamously. He died in 1223 and was succeeded by his and Isabella’s son, now Louis VIII. Louis ruled for three years, until his death in 1226, at the age of 39. He was then succeeded by his son Louis IX, later known as Saint Louis. All further kings of France were descended from Isabella.